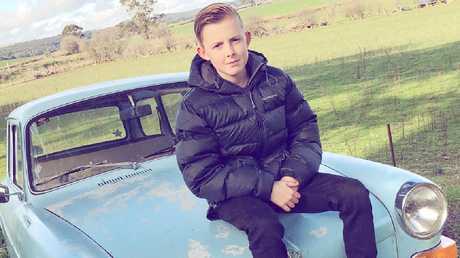 Jackson was eight when he told his mum Kelly that he was contemplating suicide. 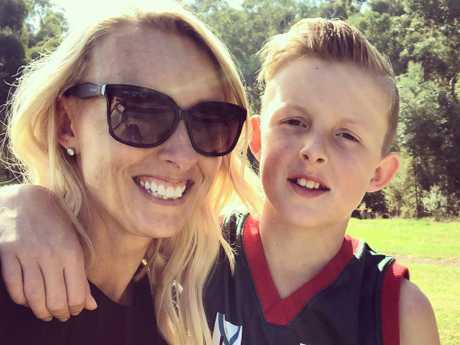 WHEN Jackson Saunders admitted to his mum Kelly that he was contemplating suicide, at just eight years old, she was hit with a mix of potent emotions. "There was a whole spectrum of emotions," she recalled. "It was everything ranging from anger to helplessness and deep sadness. 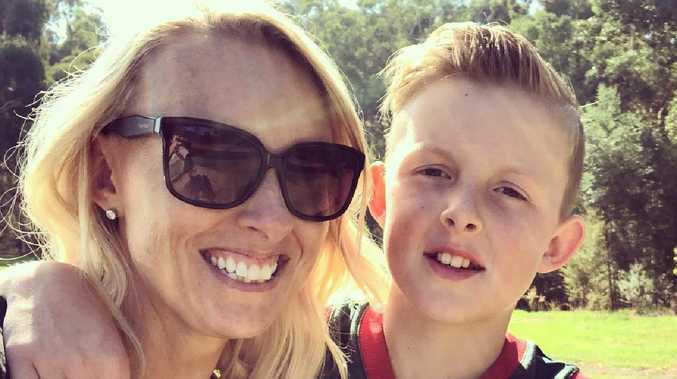 "As a parent, it's really confusing to wonder why a boy who feels so loved and has a happy home life feels such despair because of school that he wants to end his life. "You send them to school expecting them to be safe while they learn and have fun with their friends. It's meant to be happy and secure. But it caused him so much anguish." The youngster's battles at school, where he was being severely bullied, led to a dark depression and feeling that he couldn't go on. When he was just eight, Jackson Saunders was struggling so much that he contemplated suicide. Jackson, now 11, said the harassment began when he started sticking up for other kids at school who were being bullied. "It made me a target," he said. "It came to a point where I didn't want to be alive anymore." Thankfully, he spoke up and told his parents, who swiftly swung into action to offer the support he needed. 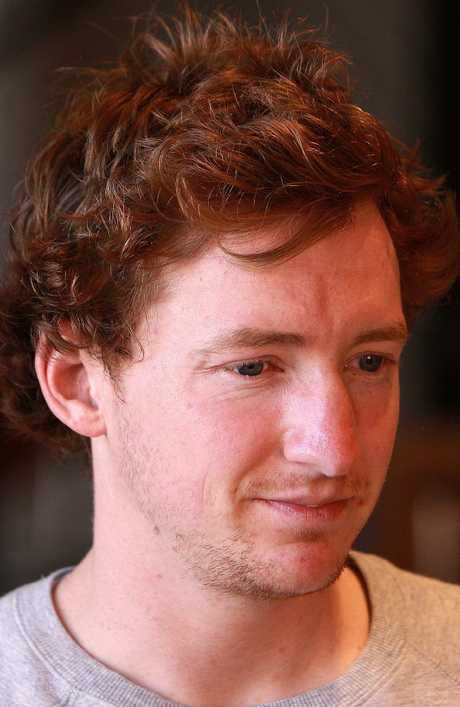 For too many young men in Australia, they suffer in silence - often with dire consequences. Tom Harkin is a people development specialist who has gained widespread praise and notoriety for the program he runs in schools targeting teenage boys. Tomorrow Man aims to tackle the traditional, one-dimensional notion of what it means to be a bloke in Australia, and give permission for a generation of boys to deal with their emotions. "None of us are immune to going through difficulty in life that we don't have answers for. Everyone will have it happen to them - man, woman and child," Mr Harkin said. "If you haven't given a young man the skills to know how to talk, particularly at the toughest time, then he'll be isolated with a problem he can't solve. And few young men are in a position to cope." Men are three times more likely to die by suicide in Australian than woman, and it's the leading cause of death in those aged 15 to 44. There is an inherent fear of talking when things are tough because most men fear the consequences, Mr Harkin said. And it begins in adolescence. "The scariest occurrence for a community when it comes to suicide is the young guy who's attractive, athletic, popular, owns the sporting field and has everything going for him, but suddenly without warning he checks out. 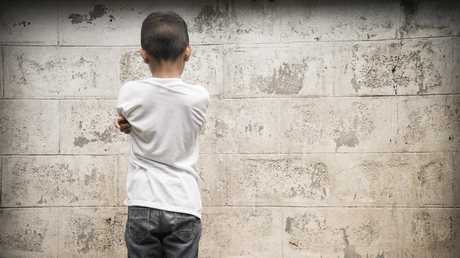 "The reason that kid leaves is because no one has given him permission to struggle." Young men need to develop the skills to deal with the emotional challenges that life throws at them. When he goes into schools to conduct workshops, they typically start off the same way. The boys sit in a circle, ribbing on each other and taking the piss, full of banter and bravado. Most have a bit of a 'too cool' view of things. 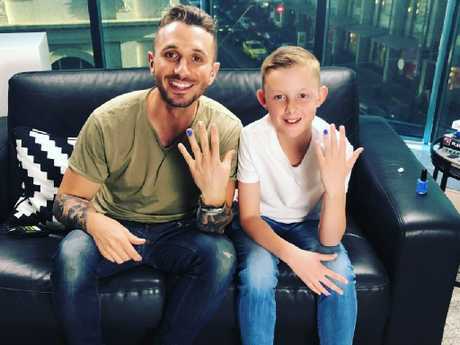 But within a few hours, as was witnessed in Gus Worland's award-winning series Man Up, even the coolest of boys are sharing their feelings and usually in tears. "There's a secret life just below the surface," Mr Harkin said. "These boys are incredibly articulate and emotionally alive. They've got the most amazing things to say about themselves. It might look like there's not much going on their heads and the whole vocab comes down to a grunt, but it's not the case. "They just need the conditions to be ripe so they feel like they can open up without being humiliated or losing face." A conversation has been under way recently about the downside of masculinity, with some critics saying it's become unacceptable to be a man. Mr Harkin thinks that argument misses the point. "Men need stoicism - every human does. We all need the ability to be able to self-regulate our emotions and push through difficulty. "But if that's the gender's only celebrated emotion, we're in dangerous territory. You can't get by on just one gear. "Research is starting to show that if men know how to properly release at the right time and then put their armour on and go back into battle, they're going to survive. If all you can do is put your armour on and leave it on, you might win a few battles but you'll struggle in the long haul." Tom Harkin has been praised for the Tomorrow Man programs he runs in schools targeting teenage boys. Traits like stoicism are important and necessary, he said, but a focus on male resilience is required too. In his youth workshops, Mr Harkin often uses a sports analogy - particularly at those schools where footy is a big thing. "I tell them to imagine they've gotten a call saying they'll play in the AFL Grand Final in seven days. They'll be out there with all these grown men who've trained their whole lives for it. I ask how they'd feel and most say they'd s*** themselves, throw the phone and run. "Every boy is going to go through an emotional grand final and at the moment, they don't have the training ground to be able to deal with it. "Why does the guy go and hide when the emotional grand final arrives? Because he hasn't got the established muscle to do it." After the shocking revelation, Ms Smorgon took Jackson out of his school and enrolled him in a new one where he could have a fresh start. In addition to supporting him with his battle, he was also encouraged to find a charity that spoke to him and begin doing something to help them out. "It's something we want all of our children to do anyway, but given Jackson's struggles we thought it could give him an outlet to focus his attention on helping others," she recalled. Jackson came across Polished Man in 2016 when the initiative was in its second year and felt an immediate connection. Jackson with his mum Kelly. Running for the month of October, it aims to raise awareness of the issue of violence against children. Participants paint one of their finger nails, representing the horrific global statistic of one child dying every five minutes as a result of violence. "That statistic just really shocked me," he said. "That's what made me want to do something. I think if my generation can understand the issue then we can end violence against children. It can end with our generation." 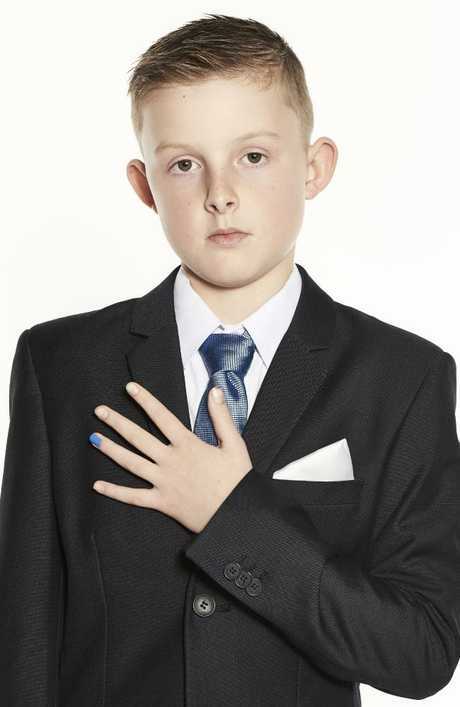 Jackson Saunders, 11, is an ambassador for the initiative Polished Man, raising awareness about the issue of violence against children. He began fundraising in a big way, raising tens of thousands of dollars for a variety of causes that Polished Man supports. This year, he signed on as an ambassador - the youngest in the world - and set a fundraising target of $50,000. "We're really proud of him," Ms Smorgan said. "He gets a lot out of it. It's a way for him to cope with his emotions and an opportunity to appreciate his life. And the change has been so wonderful. "He's so confident and passionate. The kids at school have gotten behind him and supported him. You can see the emotion on his face when he knows other children have been inspired by what he's doing and want to help. "I don't think there's a solution that will fit every family but it's something we took on and tried everything that we could. Charity work was a part of that." The statistics on male suicide and mental illness are staggering. So too is the reality that very few men reach out when they're at their darkest points. Mr Harkin said things are slowly changing, but Australia is a "long way from where we need to be". He believes the solution is creating a cultural change in young men that allows them to deal with their problems without fear. Jackson is now an ambassador for the Polished Man initiative. 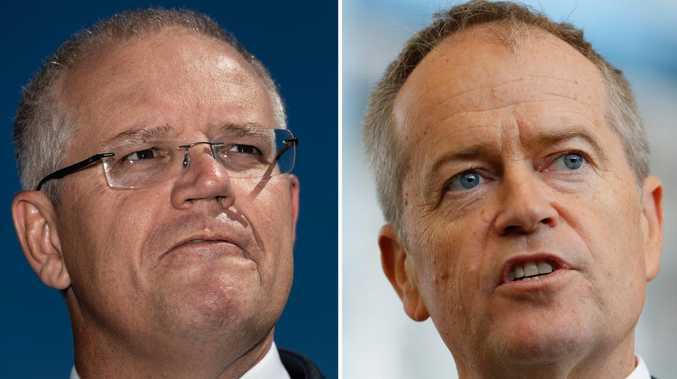 "For a teenage boy, they care a bit about what their parents think of them, they're not too invested in wider society, but they really, really care what their mates think about them. "If they're not accepted by their mates, that's dire. It's so important that we change the rule book for a teenage bloke. "If we can do that, they get a big permission slip to talk. They're ready to do it - they just need the coast to be clear and the cost to be low." 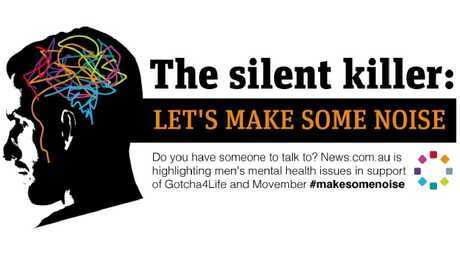 News.com.au is highlighting men's mental health issues as part of our campaign The Silent Killer: Let's Make Some Noise in support of Gotcha4Life and the Movember Foundation. Gotcha4Life is dedicated to an in-school program which helps educate young men about resilience and the importance of friendships and a scholarship program with Lifeline, which aims to train more male counsellors - better appealing to men in crisis.